Polycarp is a talented tailor from Kisumu in Nyamza province, Western Kenya. He taught tailoring for several years before he decided to establish his own business. The quality of his work is excellent. Expanding Opportunities is pleased to be one of his first customers. 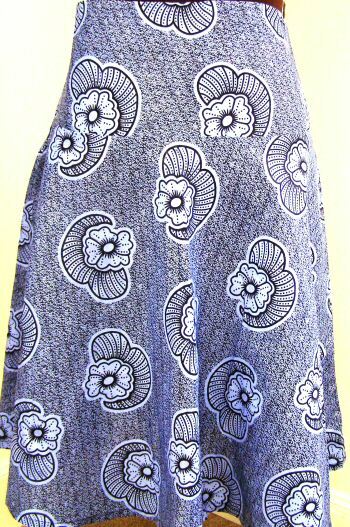 This cotton skirt measures 26″ from waist to hem. This skirt has a 6″ waist band and the waist measures 36″ with a 7″ hidden side zipper. We had this skirt specially made for 1stafrican clothing and it’s one of a kind.